Atlantisite is the name given to a powerful stone that combines Stichtite and Serpentine. This crystal is also commonly referred to as Tasmanite, due to some of the very first known pieces coming out of Tasmania. The Atlantisite that comes out of South Africa is designated “Stichtite-Serpentine”, but is no different than Tasmanite or Atlantisite. 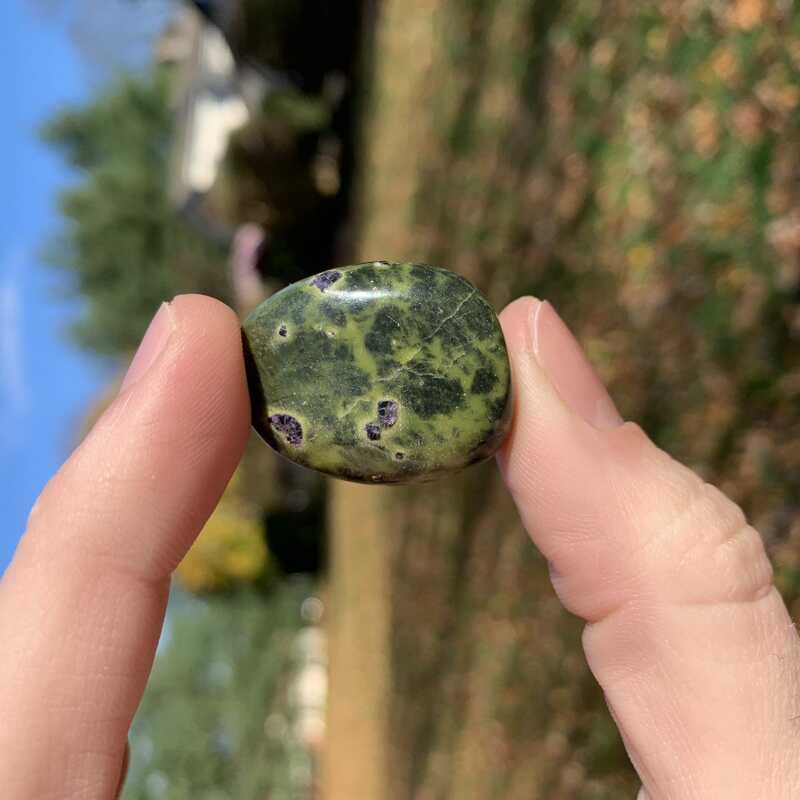 This mineral color ranges from a very pale green to dark ivy green with purple spots of Stichtite throughout. Atlantisite is on the rarer side of gems and is one of the most powerful forms of Serpentine, next to Infinite. 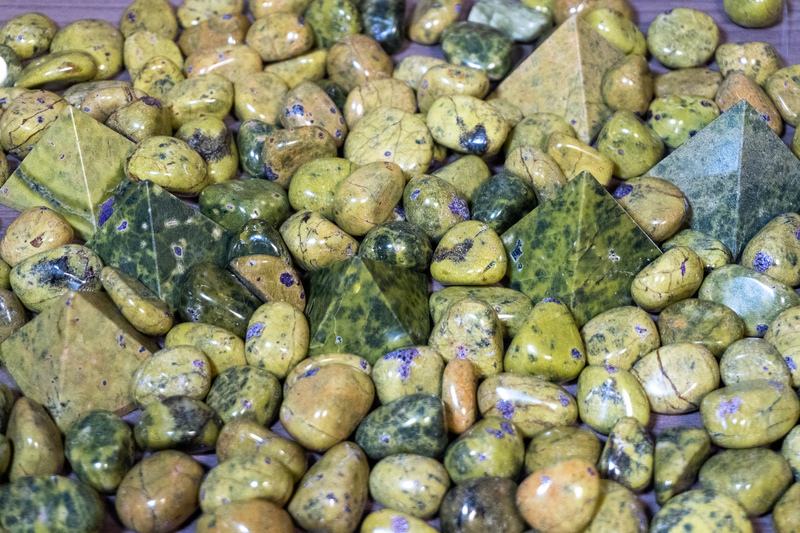 Atlantisite combines the earthly powers of Serpentine, with the loving and compassionate energies of Stichtite. Both Serpentine and Stichtite stimulate kundalini energy and links the crown and heart chakras together. The Serpentine works to emanate healing vibrations from the heart, and awaken dormant energies that have been at rest for way too long. The Stichtite, like Sugilite, promotes energies of protection from any negativity that we may come in contact with. While the crown and heart chakras become linked together with this stone, you will begin to see a more compassionate and understanding side of you come out. Stichtite allows us(even anyone who is thick headed) to see the other person’s point of view in a disagreement, while also offering up some kind of forgiveness so that you may grow from that same situation. If you come in contact with more than 1 piece of Atlantisite, its recommended to meditate with one stone placed on the crown, while the other is over the heart. This combination of minerals over these chakras will allow our minds to become closer to understanding our heart, and what we must do to offer and expedite healing. There have been some, but very few, specimens of Atlantisite with black Serpentine instead of the usual green Serpentine. These crystals are extremely rare and is a once in the life time opportunity to see one in person. The black Serpentine provides a very strong grounding energy and brings all the “ideas” or concepts in your head down to earth. 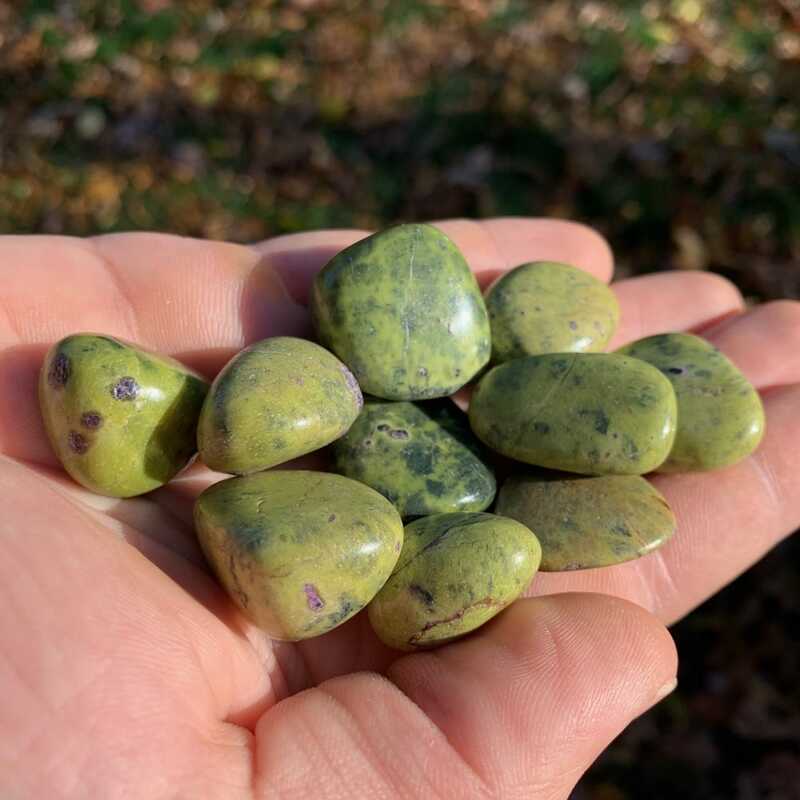 The black Serpentine works with the Stichtite in offering resolution and understanding as to why your healing process may have stalled, or stopped all together. It directs you to the “open wound” in your life causing the damage, and grants you the opportunity to bandage and resolve that open wound. Atlantisite works towards fully healing you and making you stronger than you’ve ever been before. To magnify Atlantisite’s abilities, Phenacite is highly recommend to be used in conjunction with Atlantisite. When carrying both on you, they will enhance your self healing and self reflection abilities. Your healing powers will become more effective on yourself and will rapidly decrease the time needed to heal. The Phenacite also assists in any and all visionary abilities and will greatly expand your awareness. Weather it's through meditation or simply just the dream world, Phenacite and Atlantasites abilities will show you why this combination is for anyone working on themselves and their future.